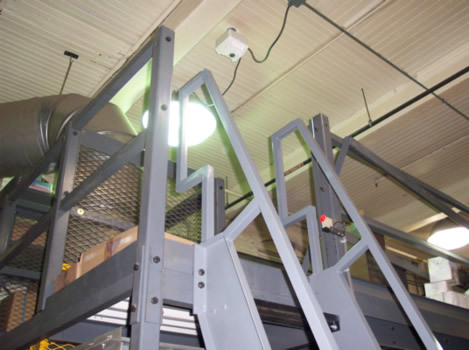 acceptable for public access, office use, or residental applications. 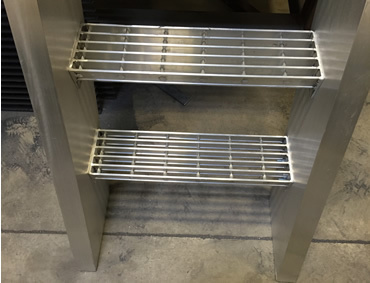  Tread depth is 8 5/8" I bar grating treads with nosing.  Min 5" tread run / 9 1/2" max riser height. 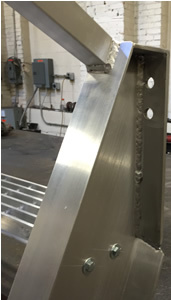 1 bundle of treads for bolted assembly. the ladder facing away from the ladder. 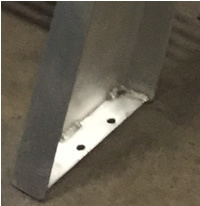 Painted Steel Ships Ladder Shown with Walk-Thru Handrail. 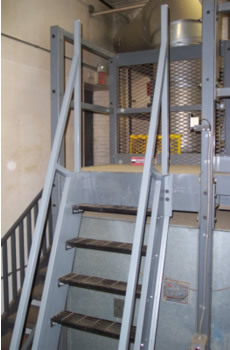 Construction, and Galvanized Stairs from your complete source for material handling equipment.